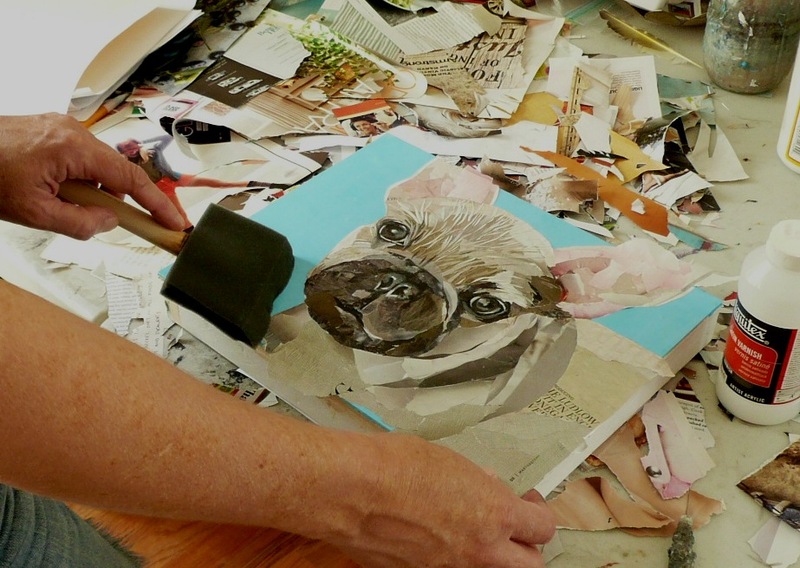 Is this ﻿art really made from Magazine Pages?? The longer answer is yes, magazine pages, plus a sharp x-acto knife, glue and acrylic paints for the backgrounds and the rare tiny detail. First, I sketch out the idea I have for the art piece. I like to do portraits--birds, pigs, dogs or people are some of my favorites. 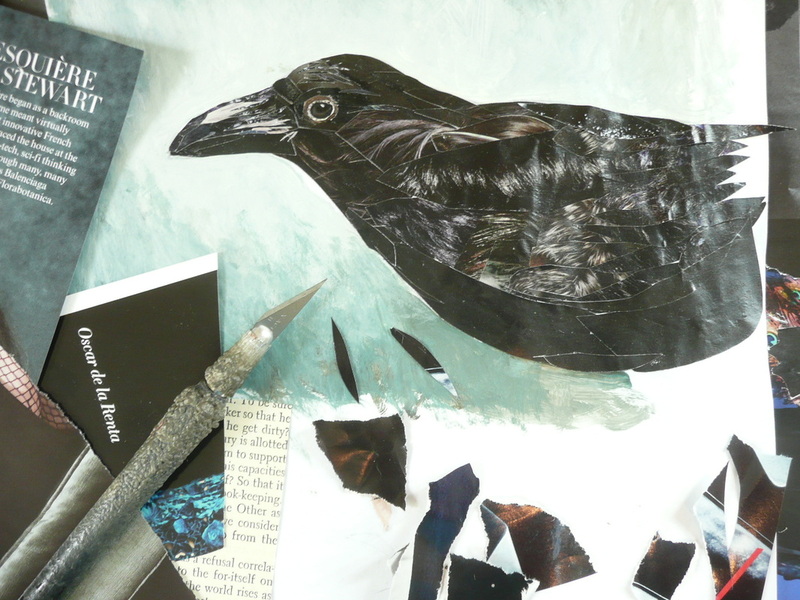 Then, I block in the large areas of color with scraps of magazine pages I tear from magazines. I decide if I will be setting my collage onto a painted and prepared canvas or box or into a book I have cut and prepared for the artwork. Once I’ve decided, I adhere the rough collage. My next step is to layer in the detail. This is a painstaking process that takes a lot of patience, a sharp knife and a lot of time but allows me to add dimension and character. My final step is to seal the work with a varnish which protects the work from sunlight, moisture and wear and tear. I touch up any final details, put the hanger on the back and sign it. After hours of work, I am finally done.